Welcome to the Olympus connection guide! The process of connecting Cascable to your camera is usually very simple. This guide will walk you through the steps. 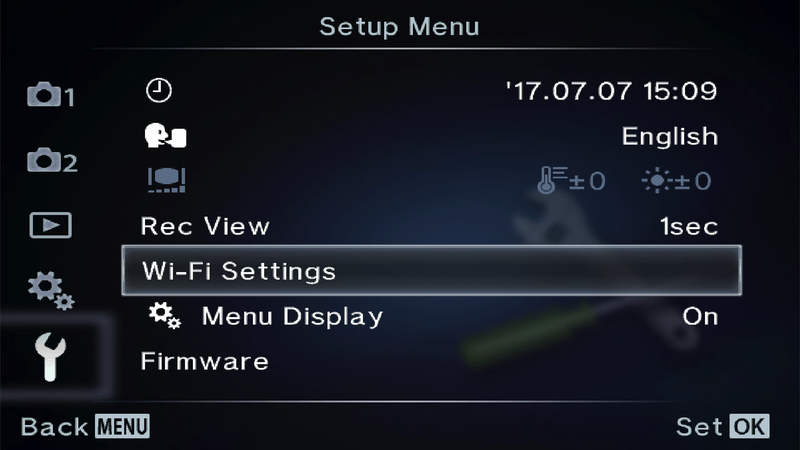 Press the Menu button on your camera and navigate to Wi-Fi Settings in the Setup Menu. On some camera models, you may not have this setting. Instead you will find the Wi-Fi settings in Camera Menu 1 > Wi-Fi Start. If this is the case for your camera, select Wi-Fi Start then follow from step 5 below. Make sure the Wi-Fi Connect Settings is set to Private. Press Menu to get back to the Live View screen. 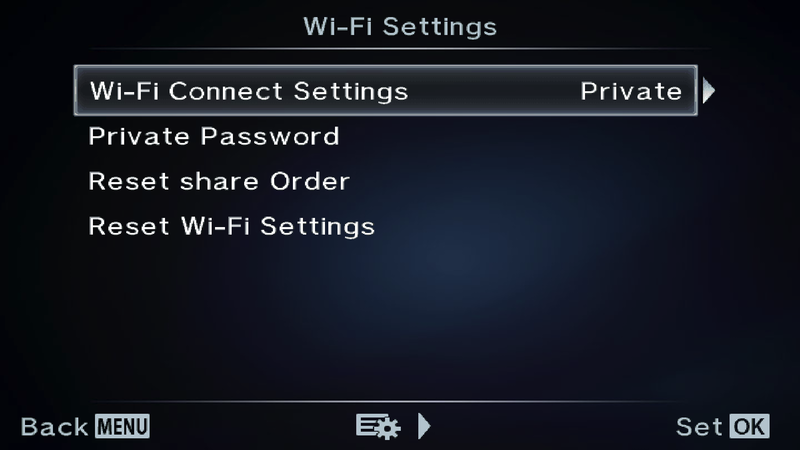 Tap Wi-Fi on the touch screen, Wi-Fi Starting should appear for a few seconds before displaying connection details. On your iOS device, open Settings and navigate to Wi-Fi, select the WiFi network and enter the password that’s display on your camera’s screen. Launch Cascable on your iOS device, it should automatically detect and connect to your camera.